lifestyle fitness is a complete package for rejeuvenation and relaxation. Health has always featured high on many people’s list of priorities, often in the top two or three. While many still associate good health with weight loss, staying fit is slowing becoming the new mantra. A fit body helps keep the mind relaxed and stress free, working towards the idea of complete well-being. Fitness is incomplete without a good exercise regimen and a wholesome diet. While a wide choice of exercises and diet plans are available, it takes a trained mind to recognise the requirements and capabilities of the body. We all opt for a one-stop destination offering a wide range of options in fitness, beauty and nutrition, all under one roof. Most fitness/nutrition spas believe in providing healthy alternatives to unhealthy choices, leading to consistent, long lasting and continuous results for a healthier lifestyle. Facilities offered are Gym, Wellness Spa, Salon, Weight Management/Training, Nutrition, Physiotherapy, Special Group Fitness Classes, Health Cafe and Training. 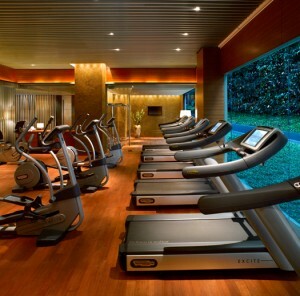 Gymnasium – most of them are customized personal traning gyms equipped with thelatest developments in fitness. Armed with internationally qualified trainers and an energising ambience, the gyms provide and unmatched fitness regimen. Wellness Spa – The spa offers various international therapies using special forest essential products. Each therapy is uniquely designed to relieve stress and tension, bringing deep relaxation and wellness. They are perfomed by thouroughly trained therapists and they address problematic areas and rejuvenate the body. The Ayurvedic spa treatments are more holistic in nature and use aromatic plant oils which work towards physical, emotional and spiritual well being. Nuad Bo Ram, unique Thai massage, creates and energetic balance through its sophisticated system of deep rhythmic accupressure to the muscles and energy lines with assisted stretches and yoga postures. This integrated approach stimulates the body’s natural healing abilities by unleashing the flow of blocked energy. The spa also provides color therapy, which addresses the chakras unique to every person, and also has special packages for body toning and firming. 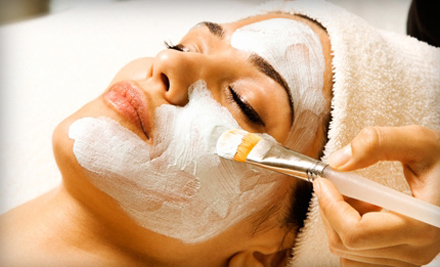 The European style facials use Thalgo products with special marine minerals. These minerals help reactivate the energetic memory of the skin cells, and reinforce the defence reserves against the oxidative stress. Weight Management – This section addresses issues related to weight gain or loss and toning. The programmes are scientifically designed according to widely accepted best practices, and offer a healthy combination of fitness, diet and special therapies, along with weight reducing and toning massages. 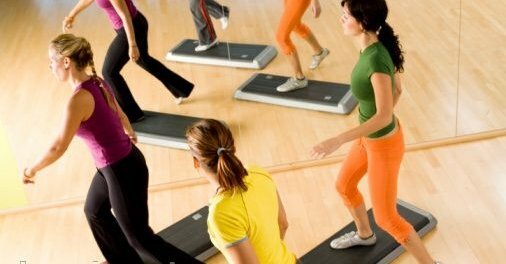 Group Fitness – These special fitness classes include different sty;es of aerobics such as step and dance aerobics, Zumba dancing, Pilates, mixed martial arts and Kettle Bell. This is a popular choice for people who prefer to work out in a group rather than individually. Vinyasa yoga, power yoga and therapeutic yoga are some of the more traditional forms of fitness workouts for group sessions. Nutrition – No fitness program is complete without a well-planned diet that includes all the food groups and meets an individual’s nutritional needs.Trained clinical nutritionists create a proper balanced diet to address health issues such as diabetes and high blood pressure and to promote overall well-being. Phsiotheraphy – Trained personnel are on hand to work with individuals ailing from backache, cervical problems, shoulder pain and arthritis. Special programs are designed for pain management, cardiac and pulmonary rehabilitation, gait amd posture correction and lifestyle modification. Salon – This section takes care of a wide range of beauty needs. This is where you should head for some pampering, whether it’s a relaxing foot massage, a facial or some hair and nail treatment. Health Cafe – Hungry after that workout? These health cafes offer an array of original and inventive smoothies, juices, sandwiches and salads one can dig into without a trace of guilt. Made by expert chefs using prime ingredients, the food aims to enhance a fit lifestyle. So indulge in the healthy cuisine and tantalise the taste buds while boasting the holistic self! These fitness spas offer great workout regimens to choose from, it’s a one stop-stop to handle all your fitness requirements. So step in soon, and step out with a fit body, mind and soul. Very Informative… good job, keep up the awesome work. i like this concept of beauty and nutrition. Pingback: Yoga and its benfeits are global and most of them are utilizing these teachings to their benefits. Pingback: Mandatory things to do for a toned and fitter body. good schedule and balanced diet play an important role. Pingback: Fitness evolution with martial arts and Parkour help in self defence and physical strength. Pingback: The Great Outback and the Grand Hieghts expeditions are arduous but the rewards are well worth it. Pingback: Welcome to the world of Pilates and its health benefits come in several ways. Pingback: Cycling exercises are fun and involve outdoor adventures.